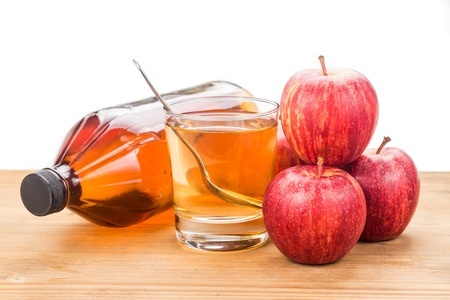 Self Cure Remedy details of Drink apple cider vinegar for the care and relief of Vomiting, including effectiveness and popularity scores of the remedy. Mix two teaspoons apple cider vinegar into 8 ounces water and drink three times daily, preferably before meals. The self cure remedy of Drink apple cider vinegar for the care and relief of Vomiting has an effectiveness score of 3.5 and a popularity score of 77 on the self-cure system.